South Adelaide Digital Pass - Watch All Our Games Online! 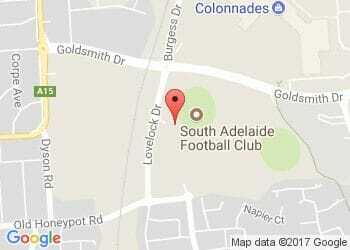 Home > Blog > South Adelaide Digital Pass - Watch All Our Games Online! South Adelaide is excited to reveal a new and exciting way for Panthers fans to keep up with all action on the field! With the South Adelaide Digital Pass you'll never miss a minute of Panthers action, with games for the first time now available to stream live and on the go! Click here to purchase your South Adelaide Digital Pass. A South Adelaide Digital Pass allows you to watch every Panthers game live on your smartphone, tablet, smart TV or computer, with full commentary and live scoreboards. Games will also be available to re-watch at any time throughout the season, while matches broadcast live on Channel Seven, including the 2017 Finals Series, will be available to view on delay. 2017 South Adelaide Members will also enjoy discounted pricing on both 30 Day Digital Passes and Season Digital Passes, with subscription fees directly supporting the club you love - 30 Day Pass ($5.99 for Members and $14.99 for the general public), Season Pass ($29.99 for Members and $74.99 for the general public). You can watch every South Adelaide home and away games live with the South Adelaide Digital Pass - excluding any matches broadcast live on Channel Seven, which will be available to re-watch on delay. The SANFL Macca's League Finals Series will be available to watch on delay, as these will be broadcast live on Channel Seven in SA. Missed the game? Don't worry, you can go back and watch any match from the Season at any time. You can watch your Club's games anywhere, and anytime (subject to internet quality) on your smart TV, computer, smartphone or tablet, including replays of Channel Seven's Game of the Week. Games can be accessed via the SANFL website, through the Official SANFL App, or through your SANFL Club App. You can access your South Adelaide Digital Pass via the SANFL website, through the Official SANFL App, or the official South Adelaide app. Once you have logged in, the system will remember you for future matches. All content can be formatted to fit your device, whether it's your smartphone, tablet, or smart TV. Each game will feature a scoreboard and timeclock within the broadcast, and will have full commentary. Subscription fees for your South Adelaide Digital Pass will stay at your Club. Becoming a Panthers Member will provide you with a significant discount for both the Season and 30 Day Passes, and will provide you with a way to stay engaged with your team.